The Ear, Nose and Throat (ENT) specialists at the national referral hospital are warning against excessive use of earphones as the number of people visiting the hospital with ear complications rise at an alarming rate. 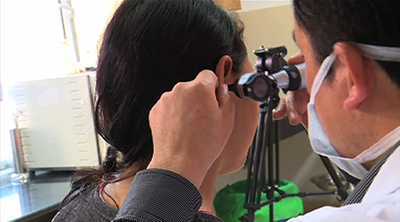 Around 40 people visit the hospital daily with hearing loss and other ear complications. The majority of them are school going children. ENT specialists say constant use of earphones and other listening devices can cause irreparable damage to ears. The damage, however, can be minimised if the listening gadgets are used appropriately. The appropriate use involves avoiding using listening gadgets for prolonged hours and making sure the volume of the audio you are listening to is not exceedingly high. The specialists say people will not feel the impact immediately but enormous damage can be caused over the time. “Especially if a person is used to earphone, listening at high volumes and for prolonged duration, then slowly it can damage the inner ear,” said Phub Tshering, an ENT Specialist. He said the volume should not exceed 60 percent of the maximum audio level and that the listening duration should not be more than one hour. He recommends the people to use noise cancelling earphones, as it takes away the background noise and enhances clarity. Though no survey has been carried out in the country, he said the increasing number of ear complication cases is alarming. 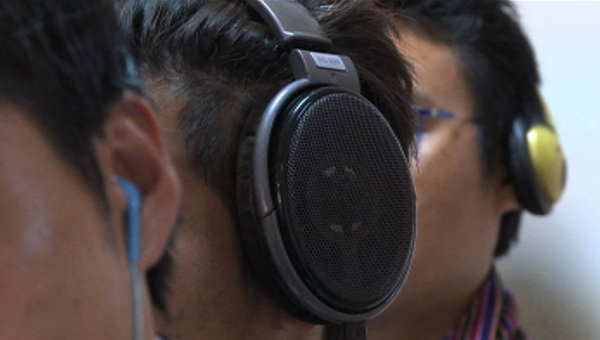 “We have not done any research but there are lot of evidence coming from other countries, even from our neighbouring countries like India, and even from western countries, where they have seen that these days, it has become an epidemic kind of thing because of the excessive use of earphones,” added Phub Tshering. He also said the sharing of earphones spread ear infections among the users. The early signs and symptoms of inner ear damage are ringing and obstructive sensation and fullness of ears. The World Health Organization estimates that over a million people around the world have been affected by over use of ear and headphones.